With technology growing everyday, it is easy to become overwhelmed. One cleaner can eliminate the hassle of keeping flat and touch screen devices clear, clean, and streak free. Technology has become part of many of our lives at home and at the office. With new technology emerging everyday, Flat Screen Clean™ offers an environmentally friendly, non-toxic, and streak free product to satisfy customers’ needs to keep their flat and touch screen devices clean. 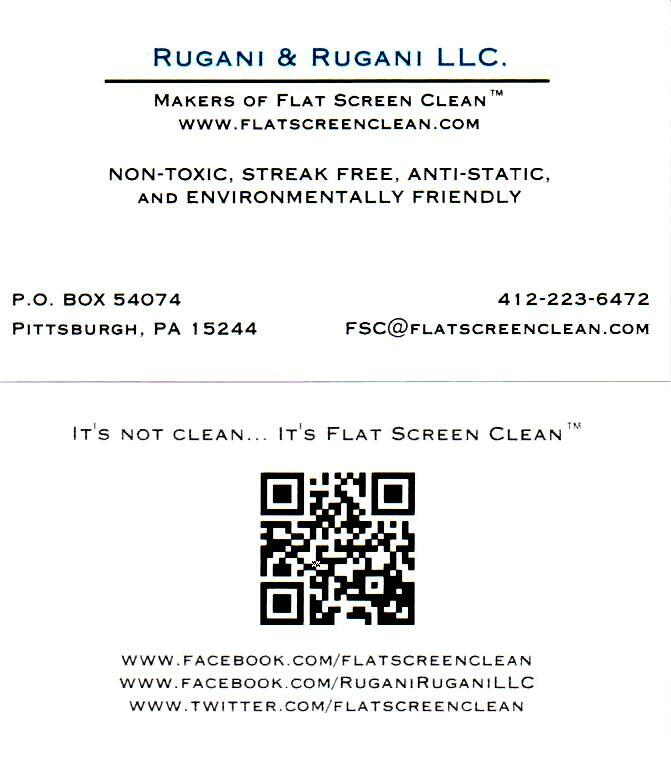 Launched by Vincent Rugani Sr., an expert in the cleaning industry, Flat Screen Clean™ is made in the U.S.A. and offers customers options to suit home, office, or commercial needs. Flat Screen Clean™ uses all-natural ingredients and is as simple as 1-2-3. CEO, President, and Founder of Flat Screen Clean™, Vincent Rugani Sr., has been in the cleaning industry for eleven years. Rugani found with the evolvement of technology with flat and touch screens, he needed a safe and effective way to clean all of the new devices. Flat Screen Clean™ was not just a company that conjured up something in a lab, but with field experience and testing for over three years daily to ensure the product was shelf ready and environmentally friendly. Vincent is proud to say, "Flat Screen Clean™ is a non-toxic cleaner that has consumer health in mind." Instead of having multiple cleaners for multiple devices, Flat Screen Clean™ is the only one needed for all flat and touch screen devices. The mission of Flat Screen Clean™ is to bring customers a safe and simple product at a low cost that is both alcohol/ammonia free. Customers can choose between an 8 ounce bottle, 4 ounce bottle, and a combination package of both the 8 ounce bottle and 4 ounce bottle. 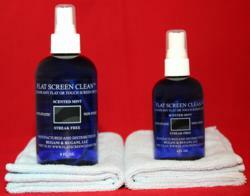 Each bottle of Flat Screen Clean™ comes with a free 16” by 16” Super Blue Microfiber Towel™. Flat Screen Clean™ is scented mint, so it leaves a fresh scent in the air. Vincent has tested the product for years in the field and at home to ensure customer satisfaction. The first and foremost commitment of Flat Screen Clean™ is to give back to the world. On every bottle, for every unit sold a donation will be given to a charity fund to better support the world. Flat Screen Clean™ is here to meet the needs to those in need. The company values giving back to the community and paying it forward everyday.